How many times have you heard people say, “it’ll never happen!” The worst possible thing you can do is listen to those voices. Life is full of possibilities. Sure, it might not happen, but that’s not the same thing as saying something will never happen. So sure, saying you won’t win a large lottery jackpot, such as this week's biggest ever EuroJackpot top prize of £67 million, is statistically sound, but saying you’ll never win it isn’t. There’s always that chance. In our previous article we looked at things that people believed would never happen. Seemingly insurmountable obstacles, both natural and manmade, that have been overcome by sheer tenacity, from scaling Mount Everest to tearing down the Berlin Wall. All things they said would never happen. 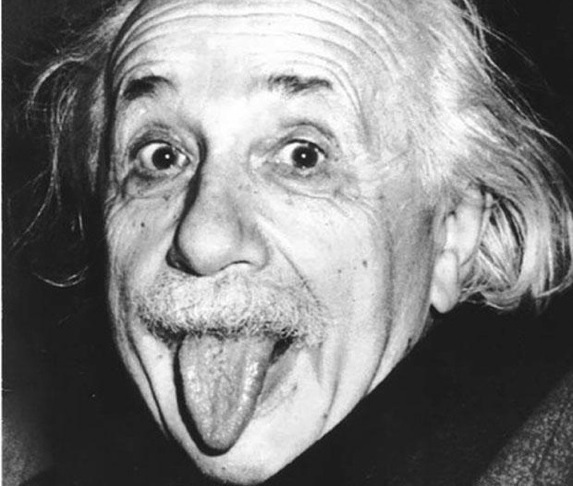 In this week’s instalment, to commemorate the record-breaking £67 million EuroJackpot, we’re going to look at those brilliant men of science who dared to dream, and the unimaginative cowards who tried to denigrate them – only to wind up looking foolish. Tell that to the people who just flew past my office on EasyJet. What had once been the dream of men since time immemorial finally became reality in 1783 when the Montgolfier brothers, from France, successfully developed the world’s first hot air balloon. At the time people looked up and gasped, some fainting with astonishment, whereas today nobody even bats an eyelid. Human flight today isn’t astonishing, it’s mere background noise. “You would make a ship sail against the winds and currents by lighting a bonfire under her deck? Excuse me, I have no time to listen to such nonsense” – so said Napoleon Bonaparte to marine engineering luminary Robert Fulton. Talk about missing the boat! 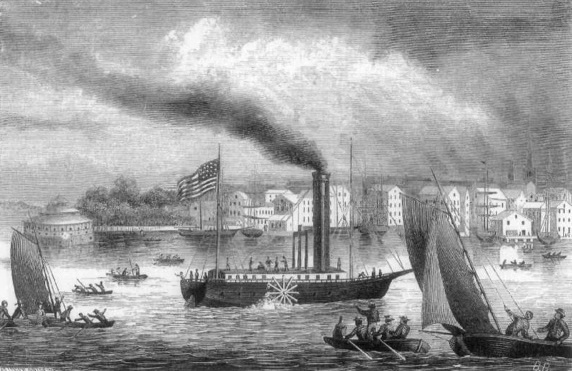 Fulton sailed his first steam ship up Paris’ river Seine in 1803. He would later go on to create innovative warship designs for both the British and US Navy. “The abdomen, the chest, and the brain will be forever shut from the intrusion of the wise and humane surgeon” – Sir John Eric Erichsen, 1873. Erichsen was one of the foremost medical minds of Victorian Britain, so respected, in fact, that he even served as surgeon to the sovereign herself. Still it doesn’t take a brain surgeon to realise that this comment was a little on the pessimistic side. The first brain tumour removal procedure took place only 11 years later. That same year French writer Jules Verne penned what is without a doubt the most “that’ll never happen” story in literary history, Around The World In 80 Days. The book told the story of Phileas Fogg and his bold wager that he could travel around the world in 80 days. Verne, like his rival H.G. Wells, was a pioneer of the genre we now call science fiction. As is often the case, however, yesterday’s science fiction often becomes today’s science fact. While Wells often criticised Verne for his fantastical style the core of Verne’s imaginings foresaw future events. His 1865 novel “From The Earth To The Moon” may have flunked the science test, but a century later the Apollo mission was already in full swing. His other famous novel, 20,000 Leagues Under The Sea, told the story of Captain Nemo and his submarine the Nautilus. The novel was inspired by the work of the aforementioned Robert Fulton and other submarine pioneers such as John Philip Holland. Today submarines allow us to travel to depths even further, discovering exciting new species in our oceans’ deepest trenches. 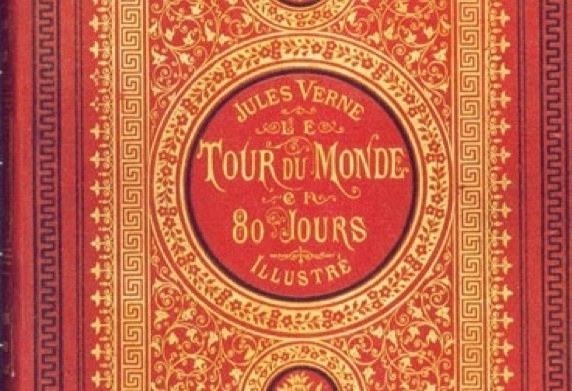 Of all his books, however, Around The World In 80 Days remains Verne’s most well known and best loved even though the time it takes to circle the world can be measured in hours, not days, and most of that time it’s spent waiting for connections or going through airport security. 5. 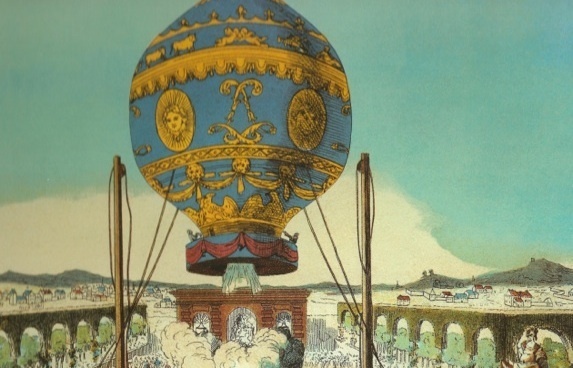 Heavier Than Air Flight "Impossible"
The Montgolfier brothers had already proven that man could fly by developing the first manned hot air balloons. According to acclaimed physicist and engineer Lord Kelvin, however, “Heavier than air flying machines are impossible.” He, along with all the other nay-sayers, were proven wrong in 1903 when the Wright brothers flew the first plane at Kittyhawk ushering in the age of air travel. "There is not the slightest indication that nuclear energy will be obtainable” – Albert Einstien, 1932. The world’s most famous scientist was proven wrong when, at a testing range in New Mexico in 1945, the atomic age began in earnest. While its initial use was for wartime, atomic power also offered the world many peaceful applications such as power generation and medicine. Although atomic power has fallen from public favour of late, due to catastrophes such as Chernobyl and Fukashima, the race is now on to develop second-generation power plants using safer fissionable materials such as thorium which could potentially provide us with clean and abundant energy well into the 22nd century. 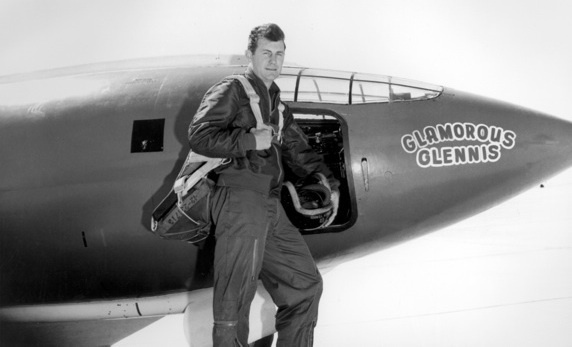 Another widely held belief was smashed by fabled test pilot Chuck Yeager when, in 1947, he became the first man to exceed the speed of sound. The American achieved Mach 1 flight in the experimental rocket plane the Bell X1. Yeager’s achievement helped usher in the age of supersonic flight as well as providing invaluable data for aviation research in general. A later successor, the rocket-propelled X-15 from 1959, managed to fly at 6.72 times the speed of sound, reaching 7,270 kilometers, or 4,520 miles, per hour. 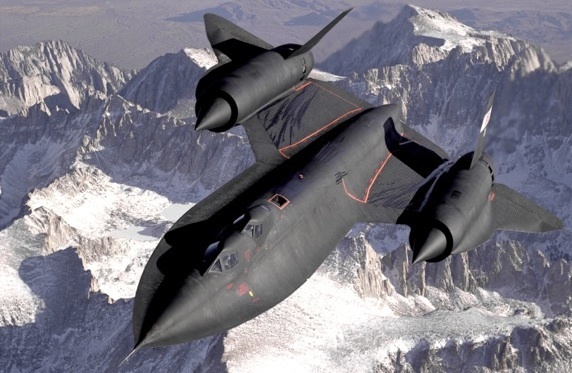 The fastest jet plane of all time is the Lockheed SR-71. The iconic American spy plane was developed to replace the U2 (yeah that's where the band got their name from) which had caused considerable friction between the US and the USSR when one was shot down over Soviet airspace in 1960. The American response was to build a better plane that would travel so fast that nothing, not even missles, could catch up to it. The SR-71 saw active service from 1966 to 1999 and could reach speeds of 3,530 kilometers or 2,193 miles per hour. Since the plane could be refuelled in mid-flight it meant it could easily circle the globe in 11 hours – something which would even flabbergast Phileas Fogg. In 1956 Richard Wooley, the Astronomer Royal, was quoted as saying that “space travel is utter bilge." He was forced to eat his words the following year when the Soviet Union launched Sputnik and, with it, the Space Race. 9. “Landing On The Moon Will Be Possible – In 2148! According to an article in Science Digest from 1948, "landing and moving about on the moon offers so many serious problems for human beings that it may take science another 200 years to lick them." 21 years later, however, Neil Armstrong took his historic giant leap on the lunar surface – 104 years after Jules Verne published “From The Earth To The Moon”. 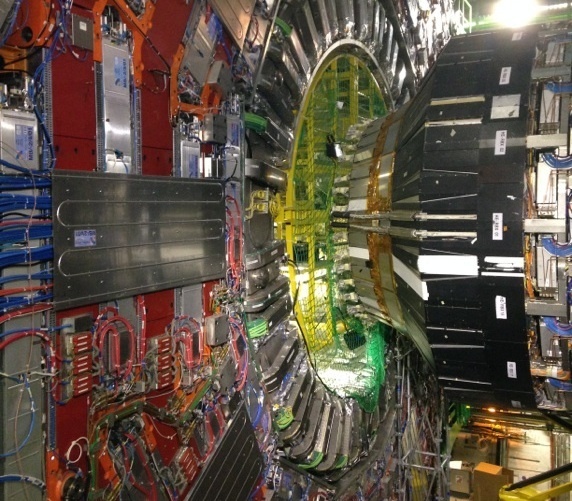 In more recent times the biggest machine ever built, the Large Hadron Collider or LHC, was assembled in Geneva. It took ten years to build with 10,000 scientists from 100 different countries collaborating on this incredible project. Let’s face it, this close collaboration, in and of itself, is an achievement, as any engineer will gladly tell you. From a logistical standpoint alone, it’s a triumph. To date there has never been anything close to this device in terms of sheer scale and complexity. 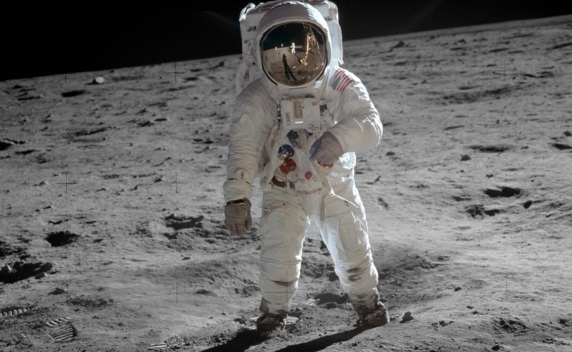 The Apollo Mission and the Manhattan Project – mere child’s play in comparison. The LHC truly is the pinnacle of human engineering – at least so far! This massive particle collider was built to study sub-atomic particles and either prove or disprove scientific theories which have, until now, been purely hypothetical. One such particle, the Higgs boson, was theorised to exist as far back as the 1960s, but could never be proven. Therefore many disbelieved its existence until it was finally discovered in 2013. Its discovery marks just one of the many exciting discoveries made at the LHC facility that are giving us newer insights into the very fabric of our universe. Of course these sorts of discoveries don’t tend to make huge headlines, but by deepening our scientific knowledge, they pave the way for even bigger discoveries and innovations that change our lives in dramatic ways. 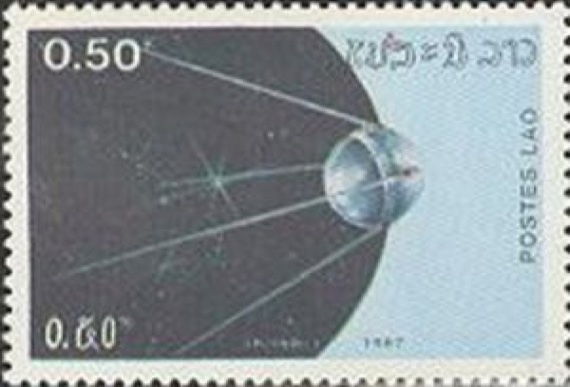 Strip away the politics and Sputnik was nothing more than a large beeping ball of Soviet metal, but its launch paved the way for satellite TV and mobile phones. When it comes to science, often the discovery comes first but nobody can quite predict the ways in which these discoveries can impact our lives. And we will be delving into this topic in more detail in our next in this series, which takes a look at the world of business. 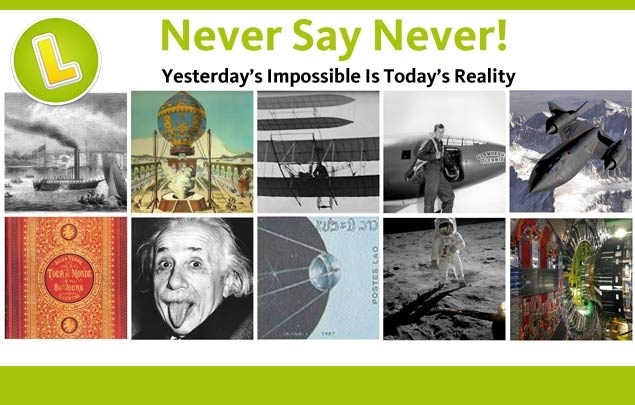 Nothing is impossible - remember those words. Anyone who tells you hitting the lottery jackpot is impossible is wrong, because if it was nobody would ever take part. Every week, all over the world, people just like you become millionaires overnight simply by buying a ticket that costs that costs the same as a cup of coffee. You can now do likewise, by betting on the results of lotteries, from all over the world, to enjoy lotteries not available in shops. 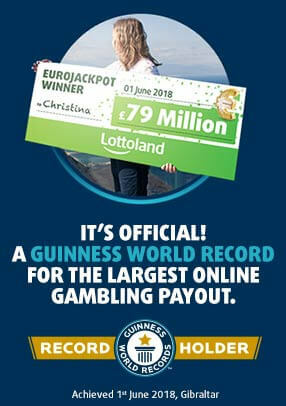 This weekend will see the highest ever jackpot of the popular central European lottery EuroJackpot. EuroJackpot has reached the massive amount of £67 million. If you'd like to win it then it's now or never, because if it isn't won this Friday it will start rolling down to the lower prize tiers. So don't miss your chance by waiting 'till the last minute - buy your £67 million record-breaking EuroJackpot betslip now.